eta: Ain't that the guy from Ancient Aliens?? He's one of the usual suspects, yeah. But he does have a Ph.D. in Geology and Geophysics from Yale (among other degrees), so maybe he's not a complete dope. I'd go along with him a lot quicker than I would a lot of those other guys. The scorched earth is a good theory that I haven't heard much of. If this were factual, we would have large areas on Earth 'burnt' and scorched, and the geological areas would be severely noticeable; black, charred, hardened etc. The comet theory I've had a problem with, but feels more realistic. The problem; it would be earth shattering almost literally depending on size, but definitely through impact. Realistically; it would be devastating enough to wipe the large biological creatures of earth, and change plant/fauna (dramatically) as well. I have my own theory about what happened aeons ago here on earth, that was cause and effect from an event that happened outside of Mars. We had a planet between Mars and Jupiter, that was struck by a comet, which blew it up to smithereens.. causing its planetary/rocky core parts to fling in all sorts of directions. Pieces smashed Mars, creating the "Scar of Mars", obliterating its surface life and atmosphere. Other parts flung towards Earth and caused the event of cataclysmic proportions. The remainder of its body was absorbed by Jupiter and collected itself as what we call the asteroid belt. I'm no professional, there may be gaps in my theory , but I've had this theory since I was in elementary school (I even wrote an essay about it in early grades!). So that is a bit more recent than Schoh's material. At least mercury traces point to volcanism as actually playing a role. Which may coincide with space rock. Or may be the tectonic plate variety. Thanks for posting the material, asking the question, and getting me to read somethings I didn't know about while getting back into the swing of things on ATS! Ive always felt there was more to the story...Ill say this, I have always felt radio carbon dating could, or rather would be flawed, by virtue of unseen parameters..
What exactly do you mean when saying 'flawed by virtue of unseen parameters'? Do you mean untestable and unaccounted for? Because the margin of error for and the efficacy of that specific method of radiometric dating is well documented and regularly tested and independently reproduced by various teams in every country on Earth. Or are you using radiocarbon interchangeably with radiometric? The former is a very specific test and the latter is a blanket term for all forms of dating utilizing radioactive decay. Something happened before and after 10k bc twice. Whatever it was rubbed out a million years of hominid history. 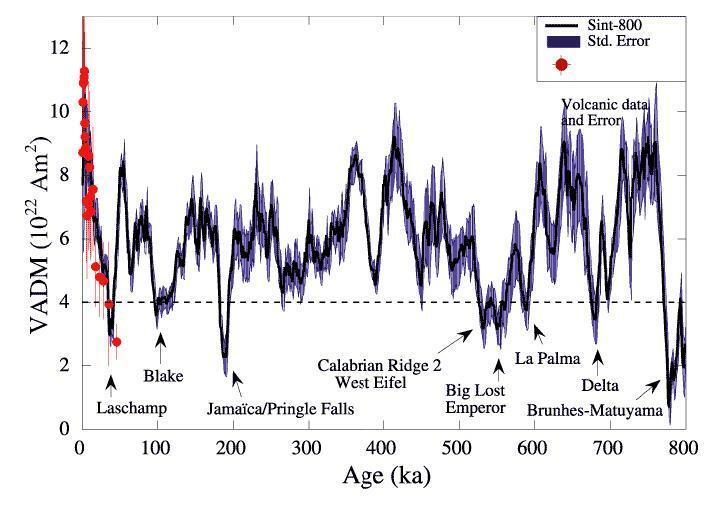 How exactly is flawed radiocarbon dating accounting for the geological timeline being off by a million years? radiocarbon dating only refers to 14C dating and normal 14C dating is only accurate to around 50KA and 14C utilizing spectron microscopy only pushes it back to 100 KA because of its relatively short half life. space.com - Case Closed? Comet Crash Killed Ice Age Beasts. ATS: Case Closed? Comet Crash Killed Ice Age Beasts. Later, I linked yet another source of "death from above": cosmic rays. "Death by sun" would take several things to happen all at once. In the scale of earth's housing us critters, that is a possibility. "Hot plasma" is an idea to consider. And can't ruled out. But the simpler answer is comet. Magnetic excursions occur every 10,000-20,000 years when the Earth's magnetic field becomes weak, and the poles may even reverse for a short time. Actually not. The timing between excursions and reversals varies widely and runs more on the order of hundreds of thousands of years. The non-impact theories do not stand up to the evidence of elevated Iridium, nano-diamonds and the chaotic destruction of monolithic structures caused most likely by massive floods and tsunami. Volcanoes can cause the later, however only cosmic velocity impacts can produce iridium and nano-diamonds. Iridium doesn't have much to do with velocity. Research published in 2012 has shown that the so-called "black mats" are easily explained by typical earth processes in wetland environments. The study of black mats, that are common in prehistorical wetland deposits which represent shallow marshlands, that were from 6000 to 40,000 years ago in the southwestern USA and Atacama Desert in Chile, showed elevated concentrations of iridium and magnetic sediments, magnetic spherules and titanomagnetite grains. It was suggested that because these markers are found within or at the base of black mats, irrespective of age or location, suggests that these markers arise from processes common to wetland systems, and probably not as a result of catastrophic bolide impacts.